Morning and night, shake well, and apply dime-sized amount of cleanser to cotton ball or pad and massage over face and throat. Rinse with warm water. After cleansing, gently swipe all over the face and throat using a cotton ball or pad; avoid the eye area. Morning and night, apply 2 or 3 drops of oil to clean skin and massage in. Apply 2 or 3 drops of serum to face and throat after cleansing morning and night. Use on its own or apply under your usual moisturizer. Allow the product to absorb for 5 minutes before applying makeup and 15 minutes before applying sunscreen. Use your ring finger or skin care spatula to scoop out a grain-sized amount of product. Let the balm momentarily warm, then gently dab around the orbital bone twice daily. 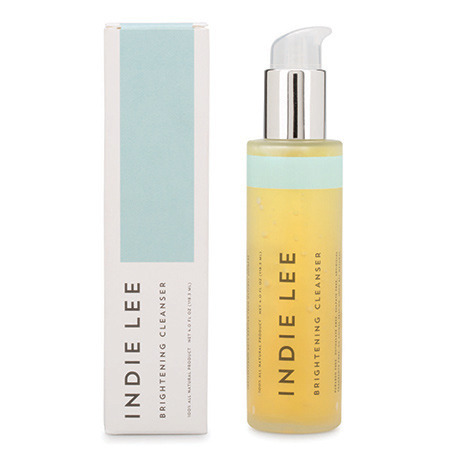 This simple cleanser washes away impurities and makeup residue. 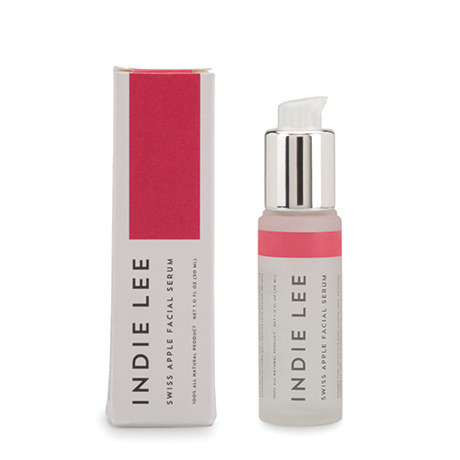 Strawberry oil exfoliates and brightens in the most gentle way possible. STRAWBERRY OIL: Strawberry oil smells delicious and is rich in vitamins, minerals, and antioxidants. Its natural fruit acids exfoliate skin without any harsh granules. HYDROLYZED WHEAT PROTEIN: This pure protein extracted from natural wheat gluten, moisturizes and conditions skin. This alcohol-free toner will clear away any residue your cleanser didn’t catch, while delivering CoQ10—one of nature’s most powerful antioxidants. Aloe vera and hyaluronic acid hydrate help balance the skin’s pH level. CoQ10: Also known as ubiquinone or coenzyme Q, CoQ10 is an enzyme naturally produced in the human body, and found in almost all of our cells. Using CoQ10 topically can help fight wrinkles, sagging, and dullness. HYALURONIC ACID (HA) Our bodies naturally produce HA, a complex sugar that transports nutrients to cells and removes toxins, when we’re younger. But production slows as we age, leading to dehydration, wrinkles, and increased sun damage—HA is the ultimate humectant to counteract this, helping to restore suppleness and radiance. 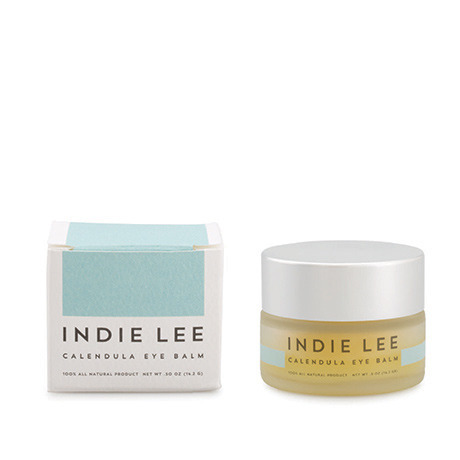 Indie herself says this is the only facial moisturizer she ever uses. The 100% olive-derived squalane—a key component of sebum that helps boost cell regeneration—diminishes age spots, normalizes the skin’s oil production, and hydrates deeply. 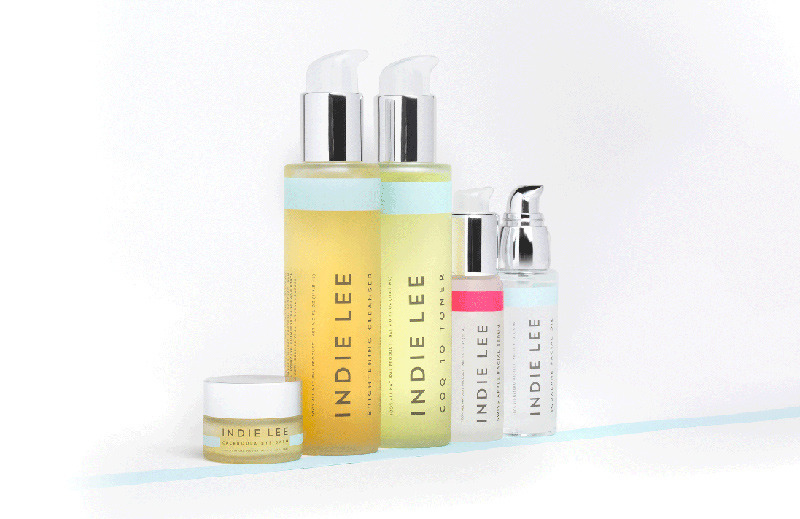 Ideal for all skin types, including dry, oily, combination, acne-prone, and sensitive. 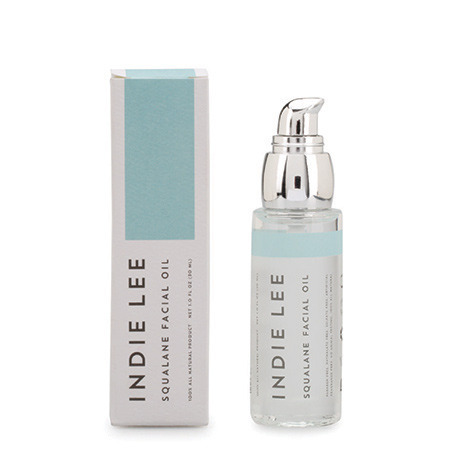 SQUALANE: Squalane is a natural lipid that protects skin from ultraviolet rays and prevents chapping. Because the body’s production of squalane starts to slow around age 25, using it topically helps restore the skin’s youthful texture. It’s also an excellent carrier for nutrients, since it easily penetrates the dermis layer. An anti-aging serum that helps repair and delay the onset of wrinkles. Formulated with stem cells of a rare Swiss apple, which scientists found has regenerative properties, to boost cell production and protect against environmental stress. MALUS DOMESTICA FRUIT CELL CULTURE: Stem cells extracted from a rare Swiss apple; when incorporated into skin products, studies demonstrate its ability to repair and delay aging. CHONDUS CRISPUS (SEAWEED) EXTRACT: High in zinc, iron, and potassium, this extract derived from a species of red algae helps improve circulation and fight inflammation. It also helps the product retain moisture and softens skin. CALENDULA OFFICIANALIS FLOWER (CALENDULA) OIL: Topical application of calendula has been shown to have anti-inflammatory properties. The flower-derived oil is also used to help heal frostbite, burns, and minor cuts and wounds.